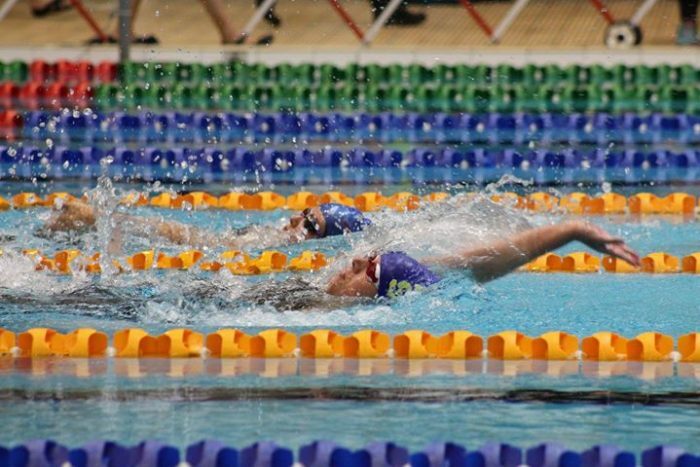 UPDATE: With your support, Hannah was able to raise $2,020 towards her swimming! I am Hannah’s mum, Denise. Hannah is the youngest of triplets, born at 28 weeks and weighed only 716 gms. Hannah was not alive when born but was resuscitated. She died 3 more times and was put on life support at one week old. We were told she would not survive as she had a hole in her brain and if she did she would be brain dead. We could not bring ourselves to switch off the machine. She must have heard us as she started breathing on her own and continued to do so. With a perforated bowel in 3 places, which was fixed, the hole in her brain started to close and her bladder, which over time started working, she has the most amazing fighting spirit. 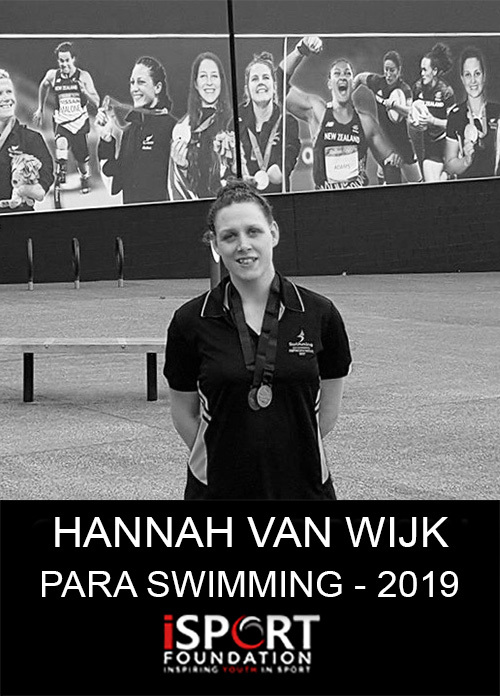 Hannah is intellectually disabled and has Cerebral Palsy. 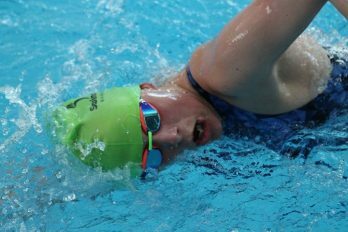 She over came so many hurdles, then at the age of 7, she developed a rare muscle disease called Dermatomyositis. She could not walk and it affects every single muscle in her body. She was home schooled for over 12 months and was in hospital for IV treatment every 4 weeks over that time. Again she pulled through and eventually went back to school. 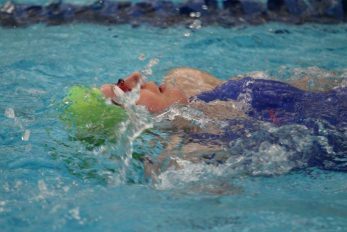 Hannah decided to join a Special Olympics swim team to help with her muscles. 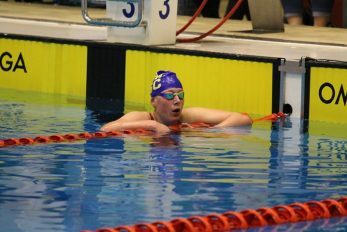 Hannah’s very first race was a 15m assisted walk. 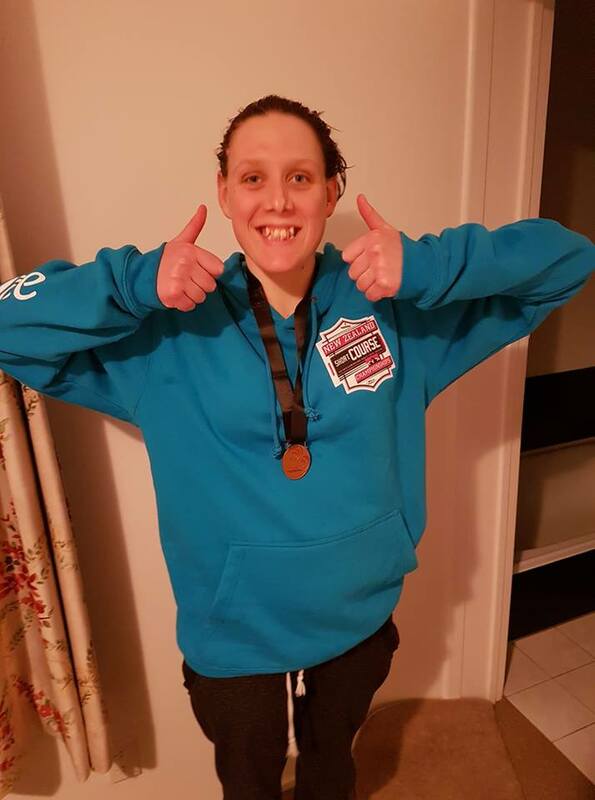 She loves swimming and went on to not only be able to swim on her own, she won a gold medal at the 2013 Special Olympic Nationals held in Dunedin at the age of 13. 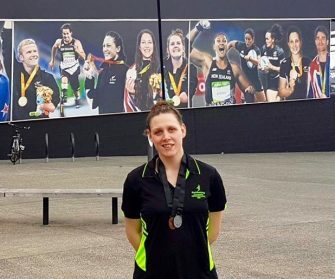 Hannah was approached by Para NZ to see if she wanted to train with them. 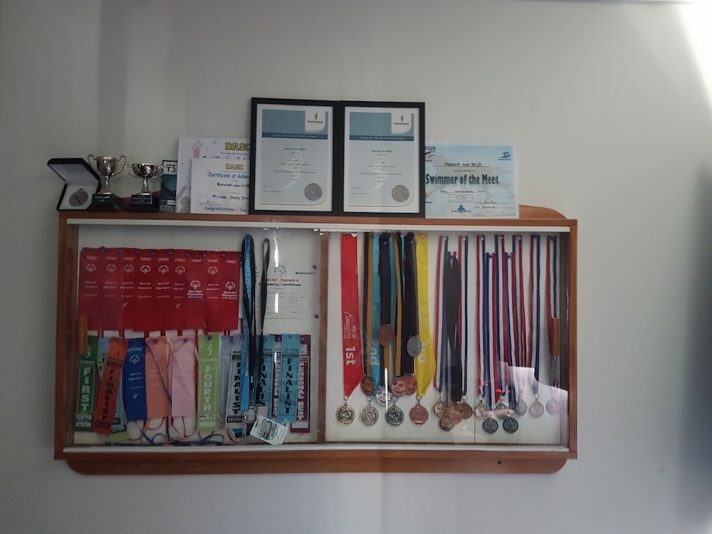 Hannah now has a cabinet full of medals, ribbons and certificates. 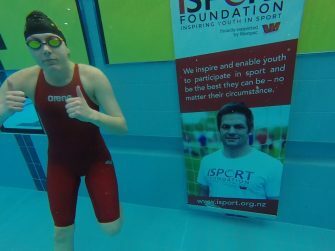 Numerous media coverage and absolutely loves swimming with Sophie Pascoe her idol. 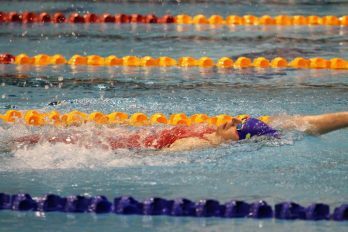 Hannah trains at the pool for approximately 20hrs per week, 3 gym sessions per week and walks 8km per day. She also holds down a part time job at the pool as a cleaner to help with travel costs. 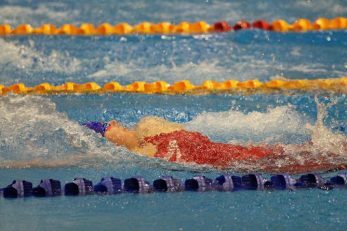 In addition, Hannah also helps her coach with training the younger swimmers when she can. Any support to enable us to bring Hannah’s dream to life would be so gratefully accepted. Thank you!